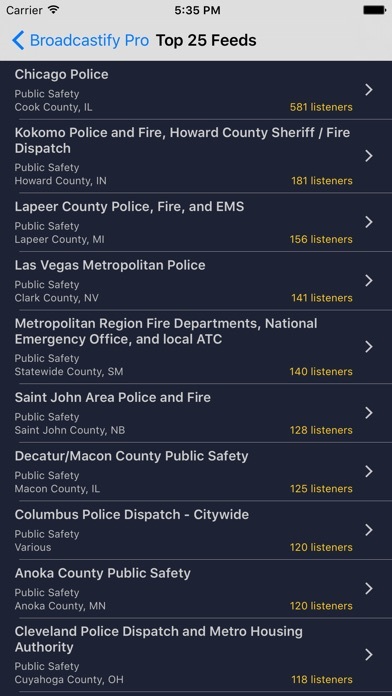 I realize that there is a process going from a scanner to the internet and then to the phone app, but I just downloaded this app so I could listen to my department’s calls while on vacation (as the chief I like to know what’s going on during major events) and when I tested it with my actual fire department issued radio, there was over 2 minutes of delay from the time the radio traffic was actually said until it was heard on the app and this was while using 1gig WiFi. The technology should be there to make this much faster. ios version Bought the Pro version. Worked great for months. Recently it loses my one Favorite. Now it keeps talking even after pushing the square stop button. Sometimes I get a second double voice out of synch like a quick echo. I have to delete the app to get it to stop. Then reload the app when the siren goes off. By the time I re-choose my Favorite the first notification is over. 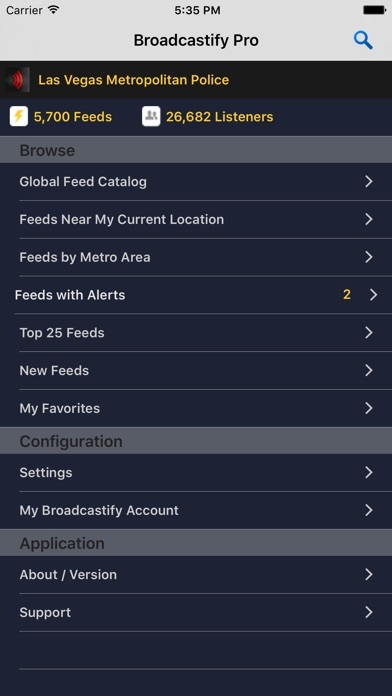 I’ve been a paid user for some time but recently the app went into a low res, large blurry fonts mode on my iPhone 8. Makes it painful to use. All this technology and we still don’t know what happened to neighbors. Lights, fire trucks, sheriffs outside my door, going to my neighbors. Dog is freaked, I’m curious. Ah! I remember Broadcastify, does it still exist? I can’t get anything working on my phone, so download this for $2.99. By the time that’s done, everybody pulls away and I’m still listening to nothing. I thought the $2.99 was Pro and meant I got more but nope. Now I have to pay more money to hear the archives of what just happened. I ponied up $15.00 more bucks and finally listen to my neighborhood feed. I’m worried about my neighbors. Nothing. If they mention what was going on next door, I didn’t hear it. What I did hear seemed to be routine traffic stops. I don’t see fire, even though it’s on the page, maybe that’s the issue, although there was a sheriff car there. For the money, I should not only get access to previous broadcasts, but some kind of translation that tells me what happened. A list of what the numbers they are saying maybe? “On xyz street, a child has a seizure. On yxz street we have a robbery at Walmart. At zxy street we have domestic violence”. For $20.00, somebody can type this stuff out. You don’t need this version if you want to hear live and don’t want archives. Get the free one. You won’t get archives with this anyway, it’s another $30.00 a year. A lot to listen hopefully once. Have only had this app for a couple of days. Very happy with it‼️I have some other scanner apps but this one has a much greater selection of audio feeds + the audio quality is quite good! Paid $1.99 to download & find that you have to $30 to hear anything! Worthless! Pro version should show tags especially since you own the system. Android version has tags why can’t IOS? Being able to run (without stopping) while simultaneously using a second scanner app. And auto restart stream after interruptions. (The “other” scanner app does this). OR.... Allow multiple simultaneous streams!!!!! PAID $20 for ScannerLive (your partners). Let me worry about data and battery life. NEED TAGS FOR THAT 5TH STAR. BTW. Recording would be nice. At least a minute or two. 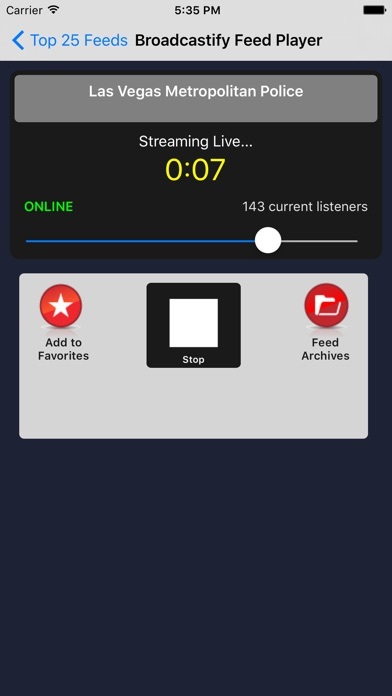 The android app shows which town is broadcasting when they broadcast. Will the iOS app soon be showing that also? Other than that its a great app!